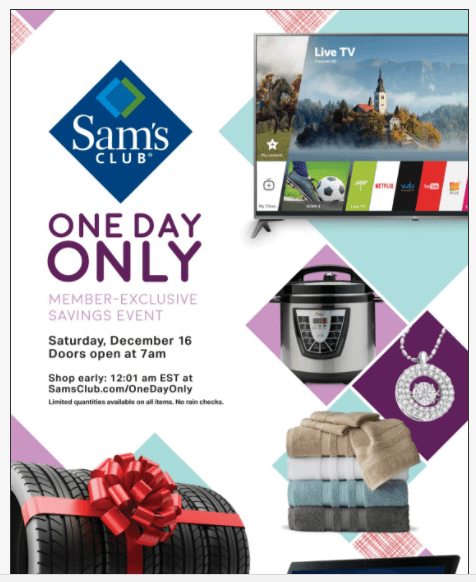 Sams Club One Day Only Event – TV Deals, Chromebook $198, Apple iPhone Deals, & More! Sam’s Club has a big savings event coming up this Saturday, December 16th, with some great savings on TVs, Laptops, Apple Products and much more! We have highlighted some of the deals you will find below. Check out all of the deals you will find in the one day savings event here.